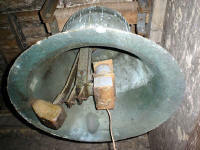 1734 Bell cast for Burham Old Church by Richard Phelps. 1876 25th Oct. 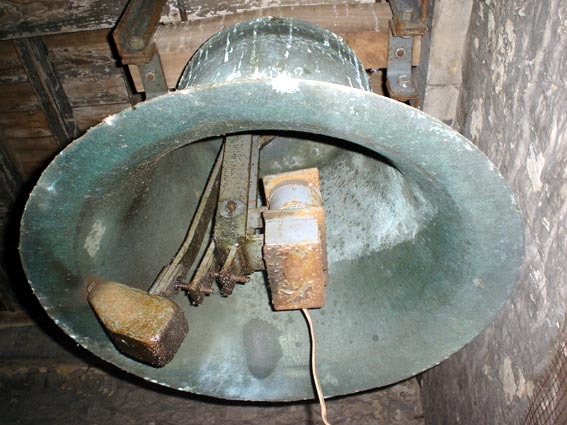 The new church with the single John Warner bell, hung in pit 7 of a new 8-bell frame were consecrated. 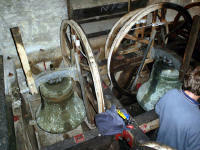 It was given by the Members of the Building Committee for £89.17.6. 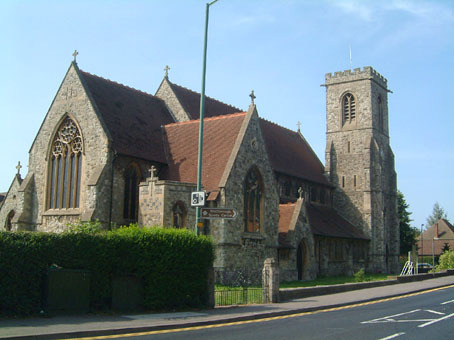 1933 Gillett & Johnston cast a bell for St Paul's, Penge. 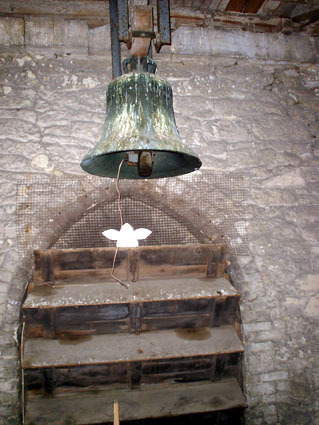 1974 The bell from St Paul's, Penge was acquired. 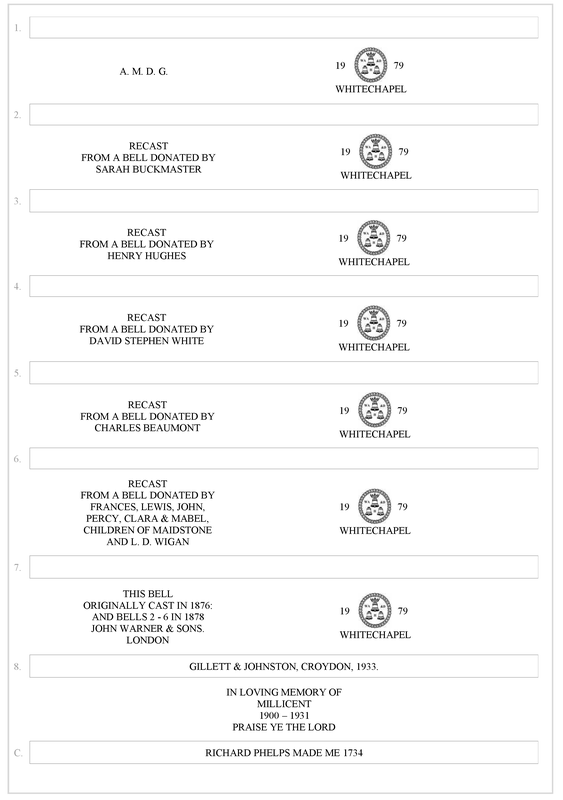 1979 The Minor 6 were recast into the fron 7 of an octave by Whitechapel. They were hung in the existing frame together with the bell from Penge forming the tenor. 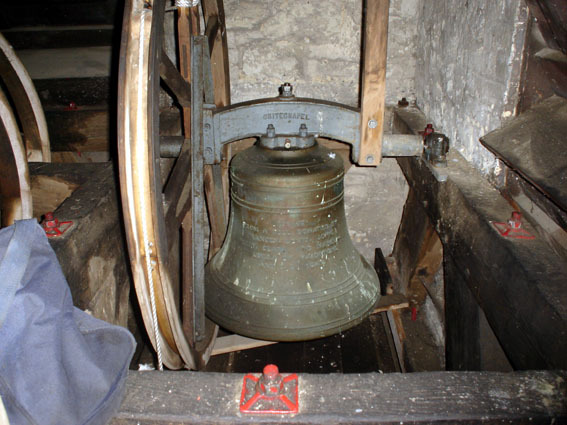 The bell from Burham Old Church was hung as the clock bell. 1980 2nd Feb. Bells dedicated. 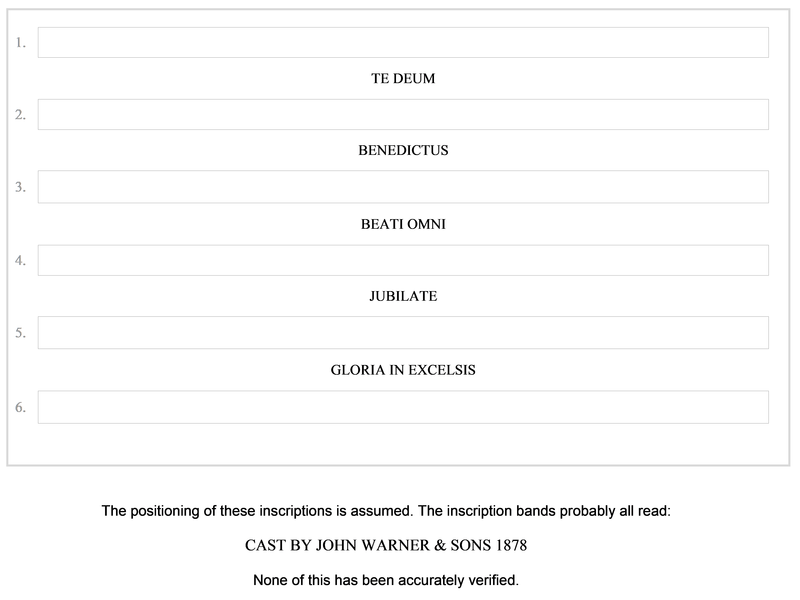 The 7th on the left, the tenor on the right.